Three years to the day I carted home a silvery Mangave ‘Bloodspot’ for a patio container, it shot up a bloom spike that topped out at 64”. What a feat! I tucked it into the patio so that it gets early sun, but misses fiery, leaf-scalding light and rain bombs. This week, intricate trumpets unfurled to entice migrating hummingbirds (I hope!). 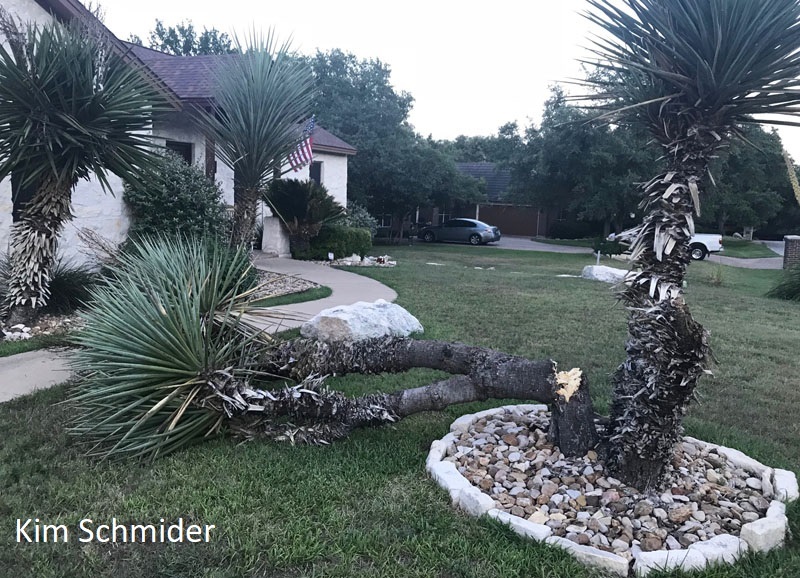 But, a couple of viewers had bad luck this summer with their yuccas. Kim Schmider’s large Yucca torreyi had three tall, individual trunks. Then a trunk broke in half and was wet inside. Then, another trunk broke in half and sounded hollow. What’s going on? 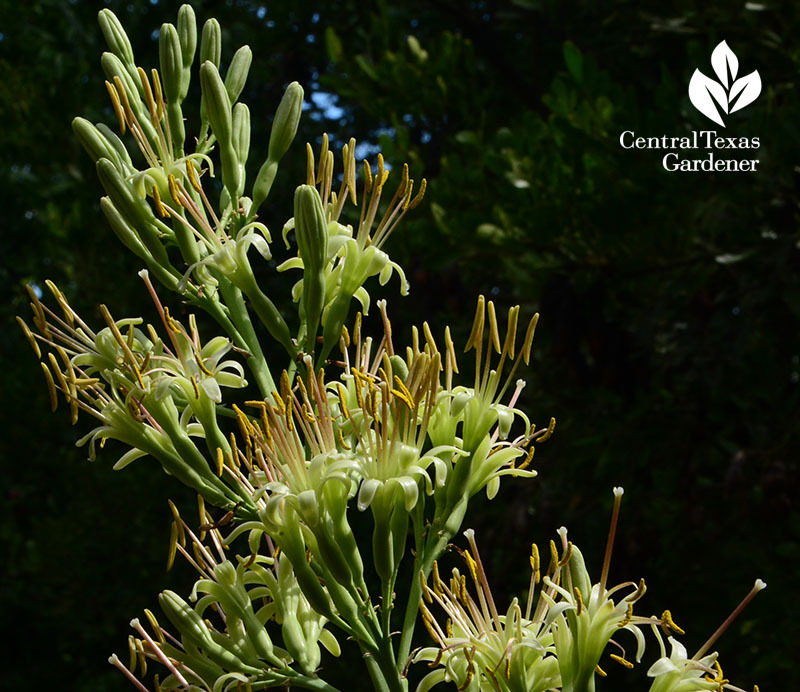 We reached out to New Mexico landscape architect David Cristiani who got in touch with John White, Garden Curator for the Chihuahuan Desert Gardens at the University of Texas- El Paso. As always, there are multiple reasons behind this. 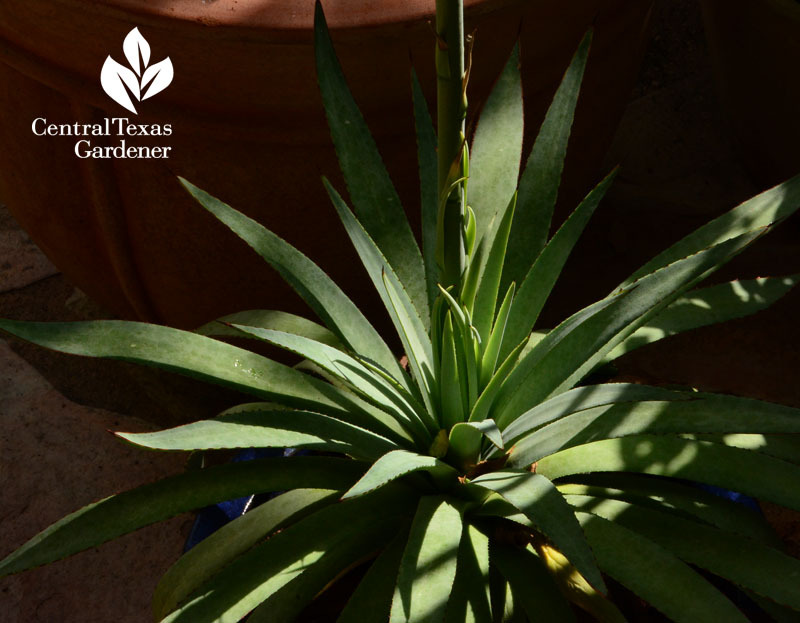 But good news: Kim’s yucca may produce new plants from the roots! Get Daphne’s complete answer. 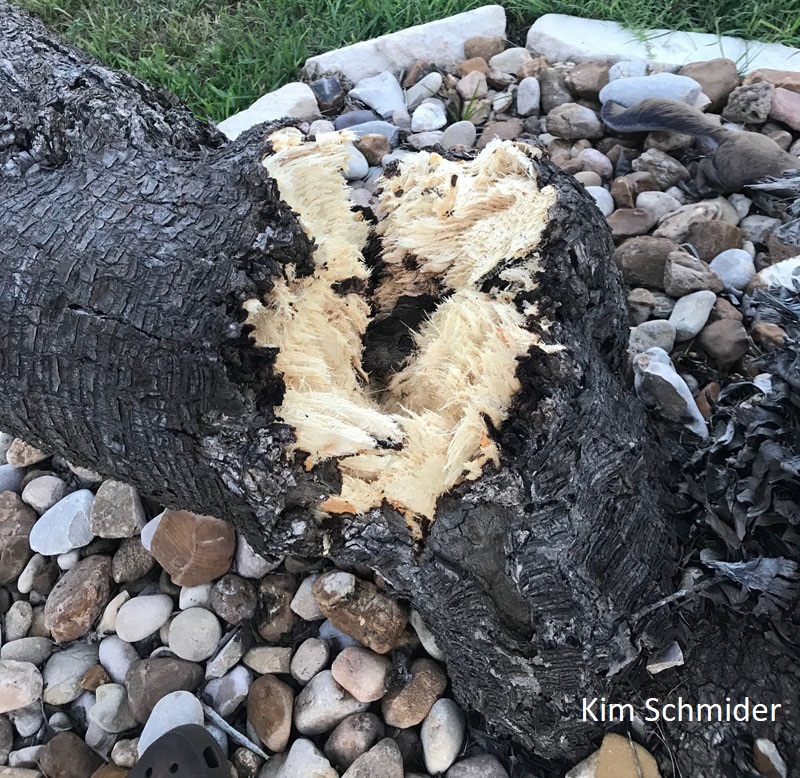 Soil’s taking a hit, too, after months of hot, arid weather. 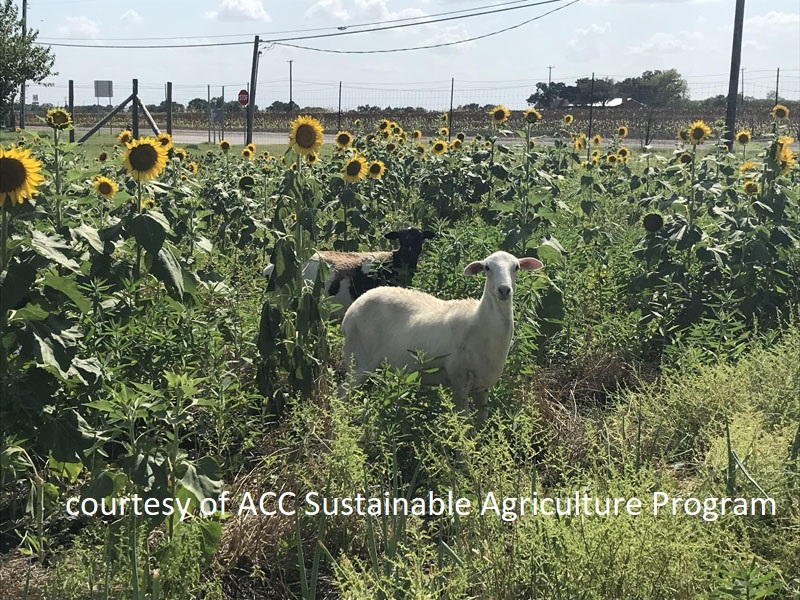 Marissa Lankes from ACC’s Elgin campus Sustainable Agriculture Program explains a few techniques they use to bring their Blackland Prairie soil back to life. Cover crops are one technique. 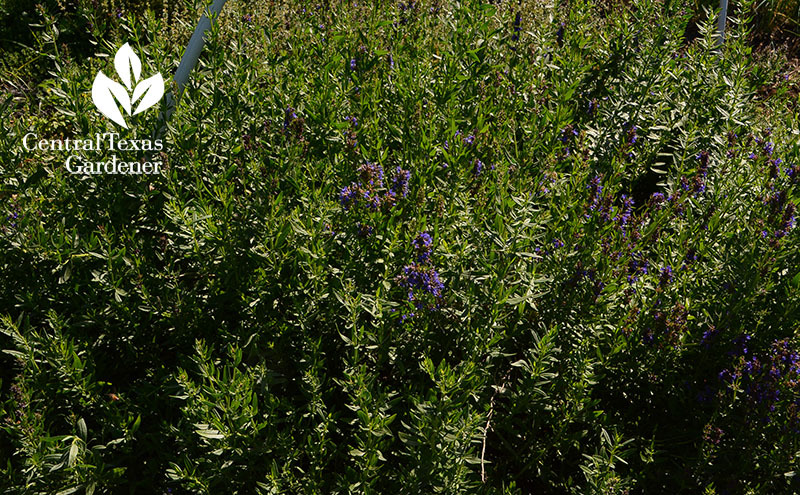 You know, even bluebonnets fix nitrogen in the soil, as do all legumes, so they’re benefitting us even underground. 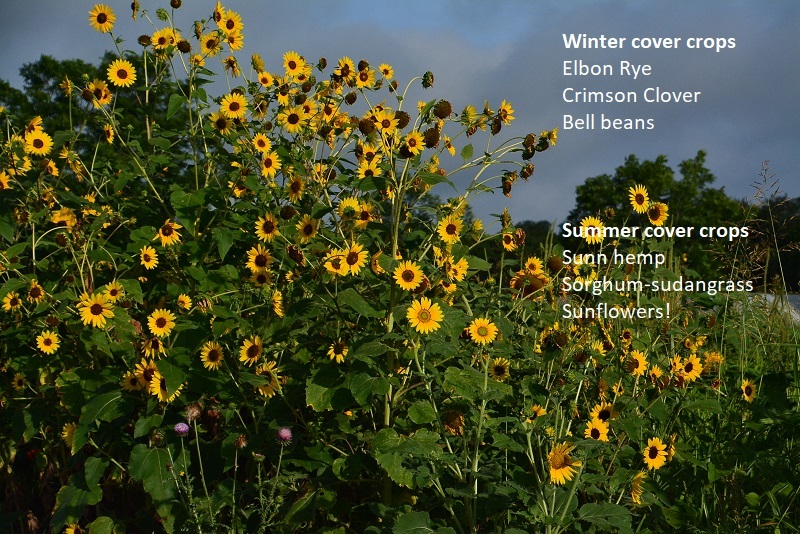 This fall, consider planting Elbon rye, crimson clover and bell beans to nurture next spring’s crops. Watch now! 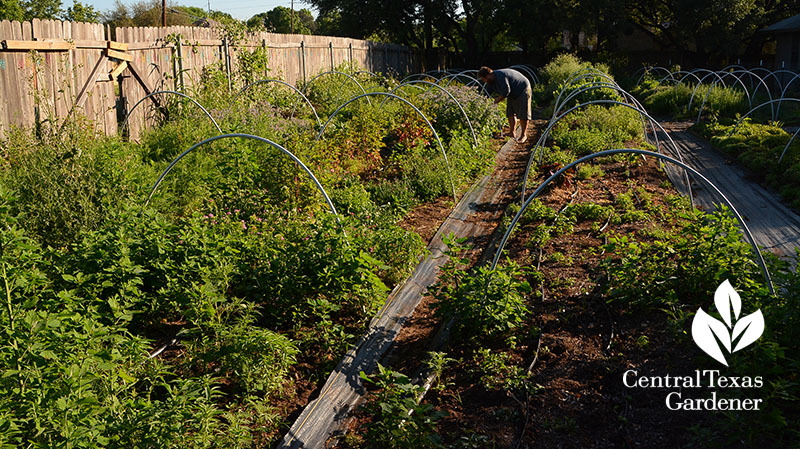 I’ve known Marissa for a few years, since working the soil and educating gardeners is her passion, at Boggy Creek Farm, Farmshare Austin, and Prickly Pair Farm. 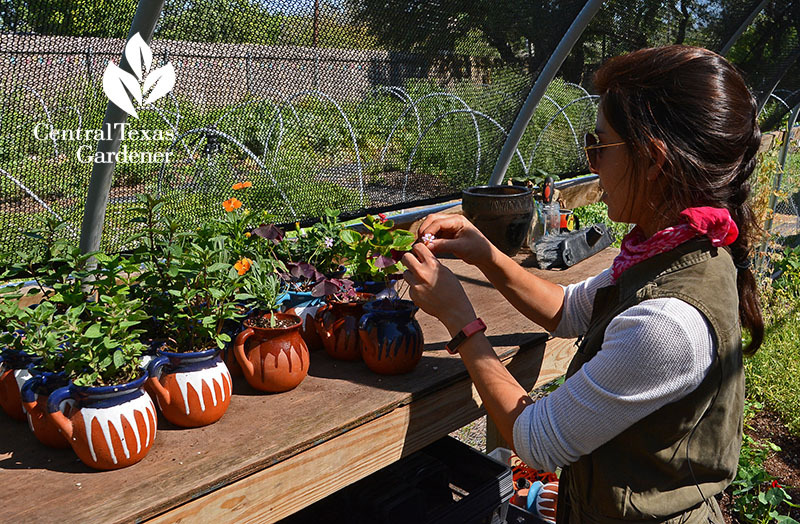 Watch her Prickly Pair interview on transitioning to cool weather cut flowers. 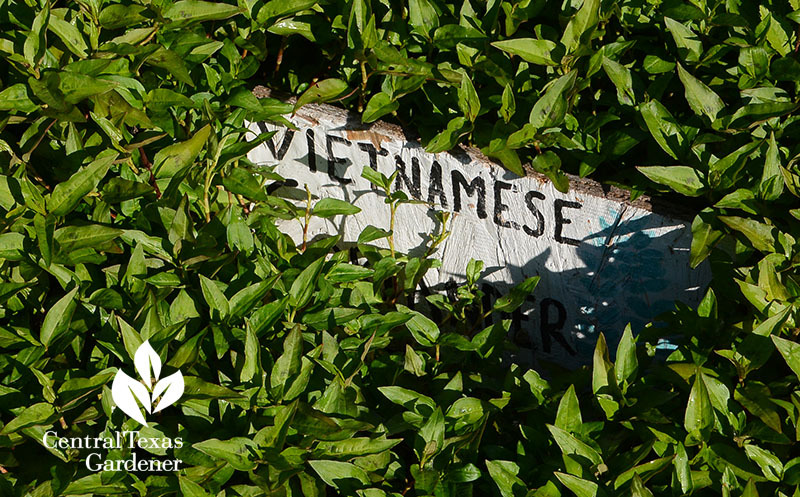 Now, here’s a plant that you don’t want to cultivate: invasive dodder! Ellen Martin spotted this yellowish, stringy vine strangling her plants, including bronze fennel that’s feeding a Swallowtail caterpillar. It doesn’t have leaves, but it does have tiny white flowers. 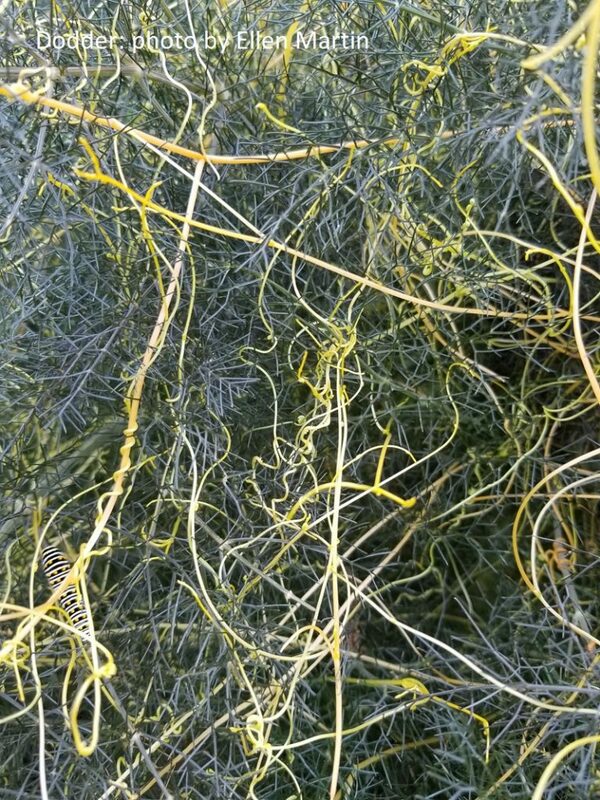 Dodder’s an annual vine listed as a noxious weed on the official, federal list of noxious/invasive species. 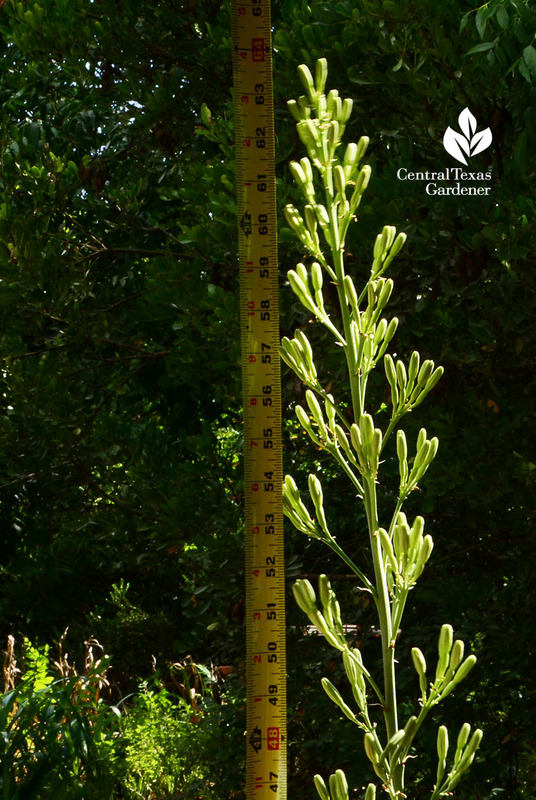 Seeds germinate in spring and flower in late spring to summer. 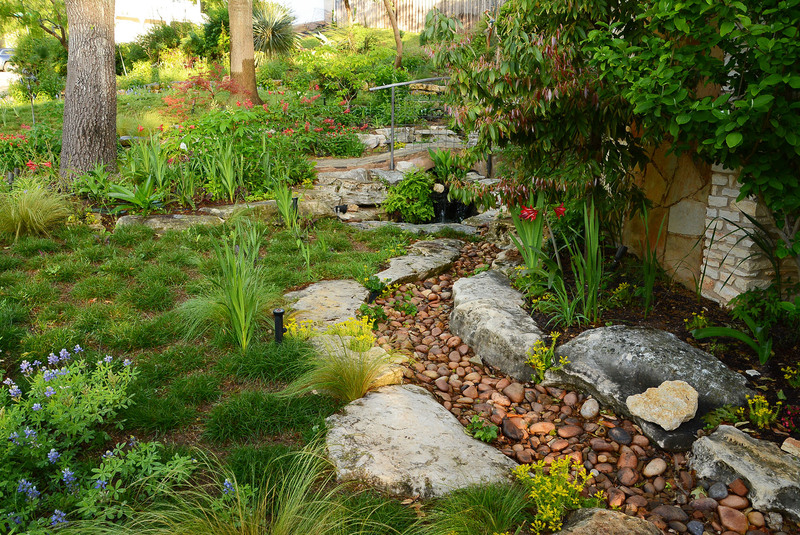 Find out how to control dodder. When Mark Morrow, a CTG and ACL camera operator and producer of Strange Town with Billy Driver (great paranormal series! 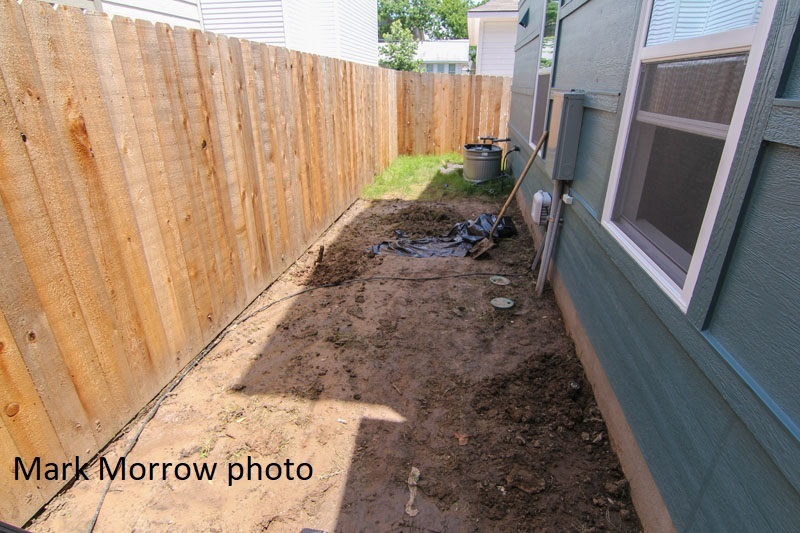 ), bought his house, he wanted to remove lawn from the narrow side yard for a pathway. He also wanted to create some privacy from the neighbor’s upper story windows. 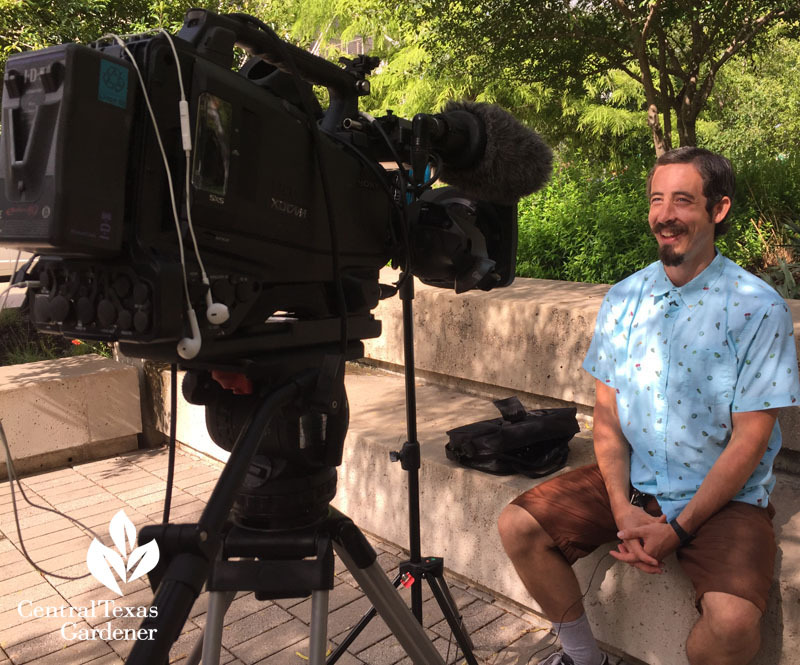 Eventually, I convinced him to get in front of CTG’s camera and tell us how he did it (in his succulent-printed shirt, no less!). Mark co-produced this segment that shows how you can do it, too! Watch now. 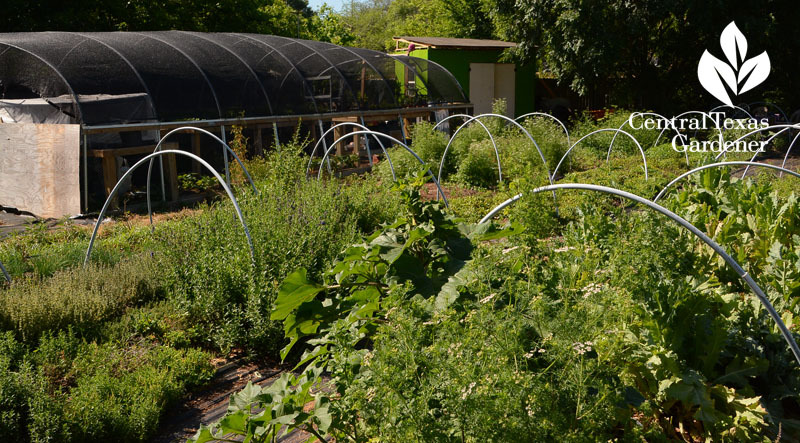 On tour, La Flaca urban farm is growing beyond your garden-variety crops, including calamint, heat-loving basils, hard-to-find hot peppers, and Vietnamese coriander. 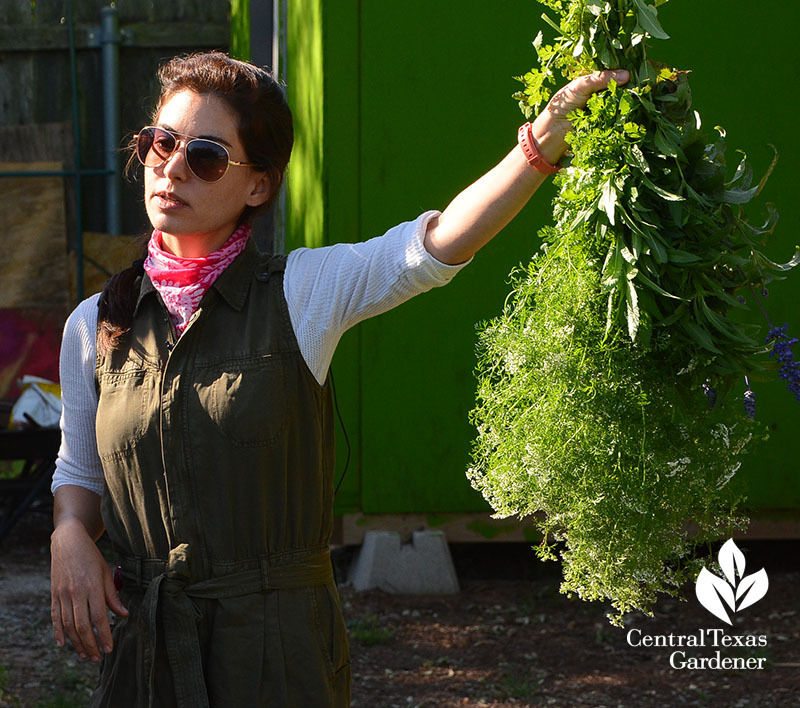 When Alejandra Rodriguez Boughton immigrated to Austin from Monterrey, Mexico, she brought along memories of good food that prompted a career change from banker to urban farmer. 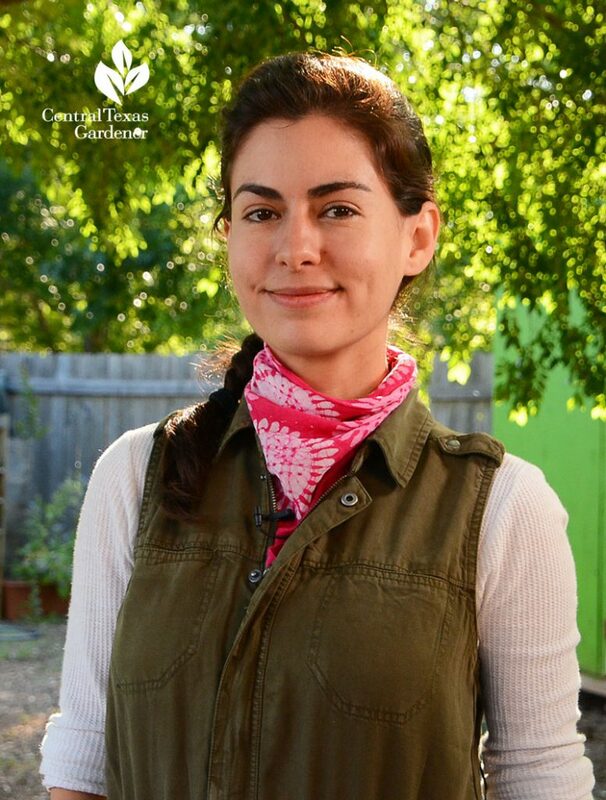 She first grounded her dreams in a half-acre lot when she and husband Ricardo Cervantez bought their small house in Southwest Austin (she’s now expanded to Texas Keeper Cider, as well). 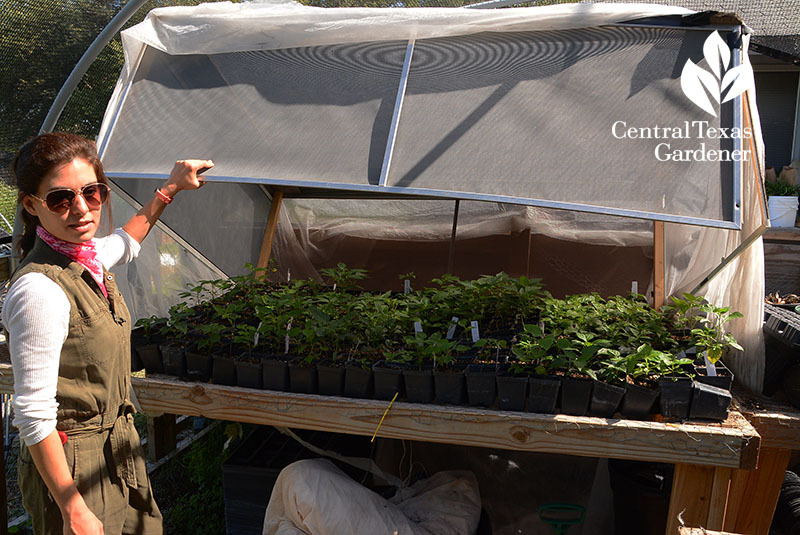 Her detailed business plan included a horticulturist, which she found in Ben Carroll, who traded Connecticut for Austin’s growing opportunities. 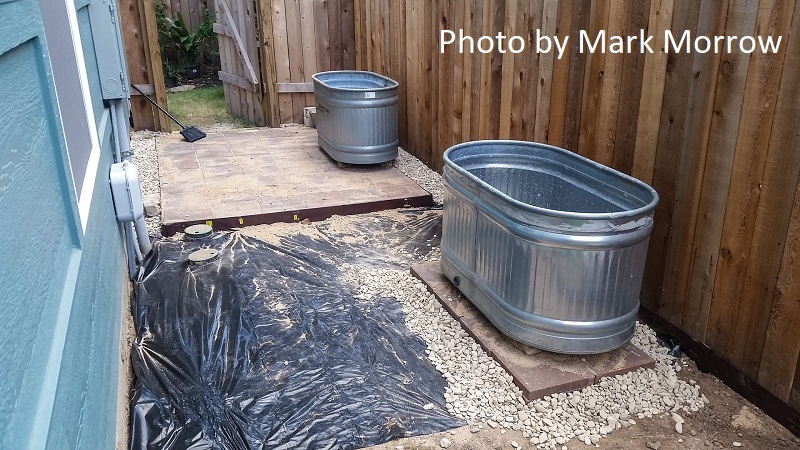 In 2014, they worked quickly the first summer in searing heat to dig up the Bermuda grass and add compost to the backyard’s depleted soil. 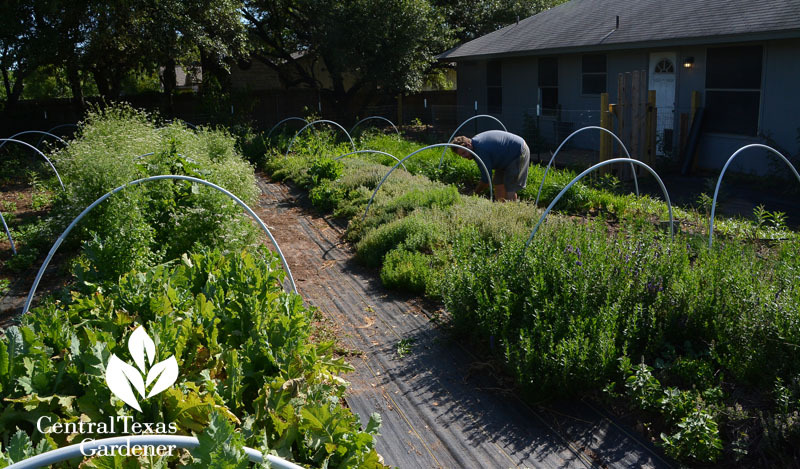 In response to local chefs who were delving more into ethnic recipes, she included Mexican and Southeast Asian ingredients in her wide repertoire of plants that can handle Texas heat. She and Ben explore plants that chefs have requested. Some chefs get very emotional with La Flaca’s delivery of a childhood memory, like calamint or Vietnamese coriander—a hot-weather substitute for cilantro. “Personally, I’m an immigrant. So having all these immigrants feel at home here for me has value,” she says. 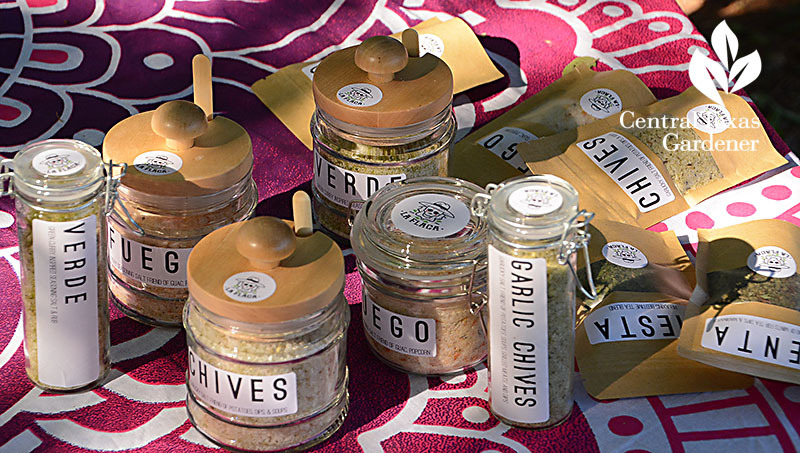 Ben explains how to use garlic chives, calamint, borage, basils and lavender-flowered summer savory—an herb valued in many recipes. 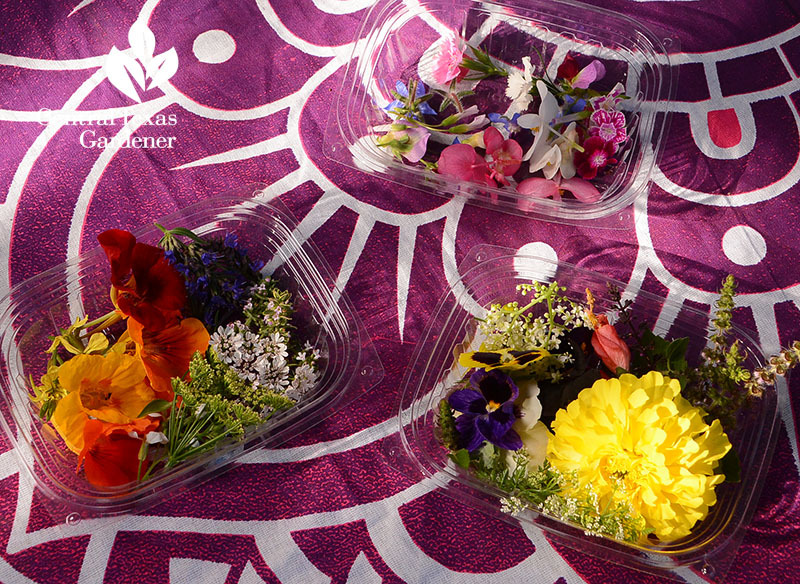 Chefs are eager for edible flowers, too, and for La Flaca’s dried herbs. 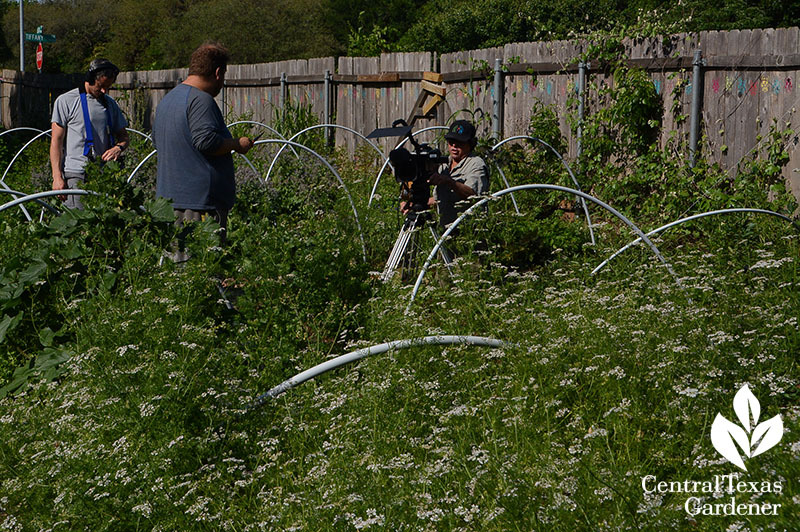 Since every square foot counts, Alejandra and Ben make the most of every crop. When cilantro bolts in late spring’s heat, the flowers are just as prized by restaurants as the earlier leaf stalks. 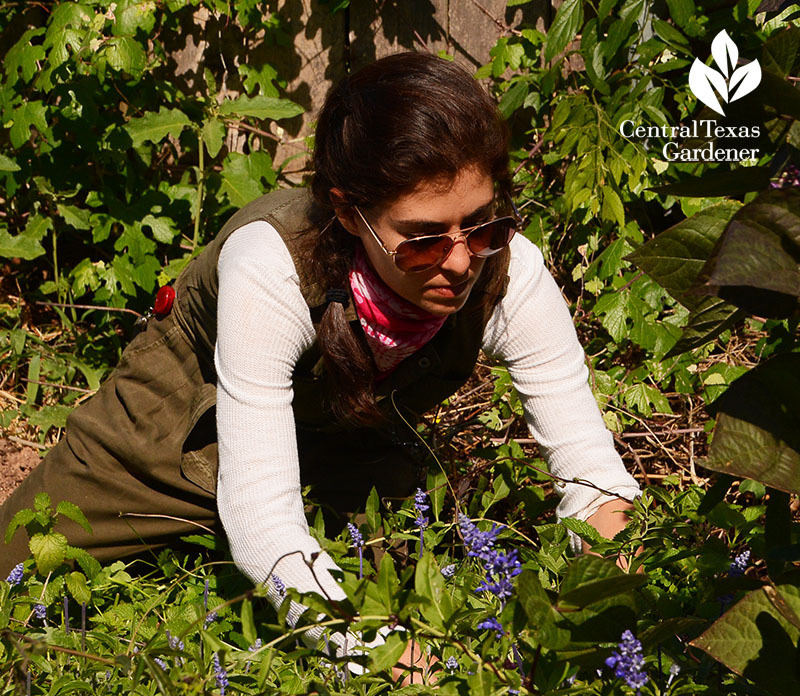 Alejandra and Ben check their request list early every morning to head out to harvest and deliver fresh-cut food and flowers in a few hours. Indeed! Watch now for all their tips and inspiration. 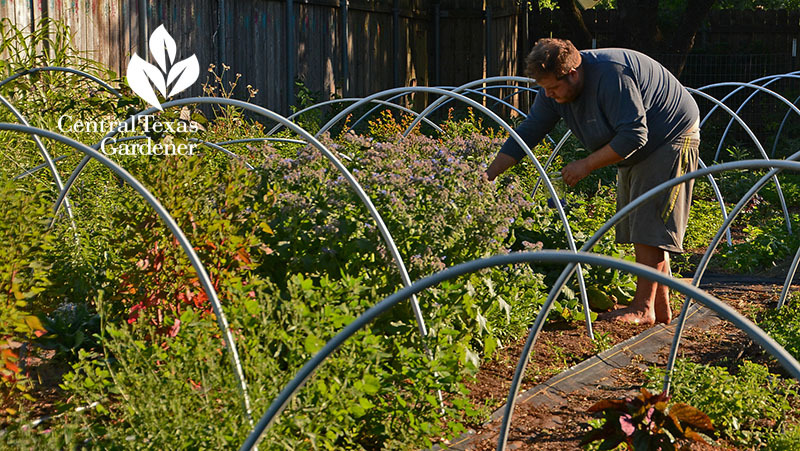 ← Get Growing with CTG’s New Season!